Does your team work well in both normal and stressful situations? Do things fall apart when the going gets tough or do they rally around each other supportively? 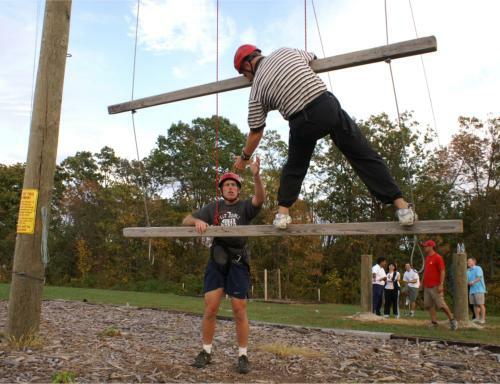 Whether you are a youth group or a strong successful business, everyone needs teamwork and the best way to realize that goal is through our Maryland team building activities. 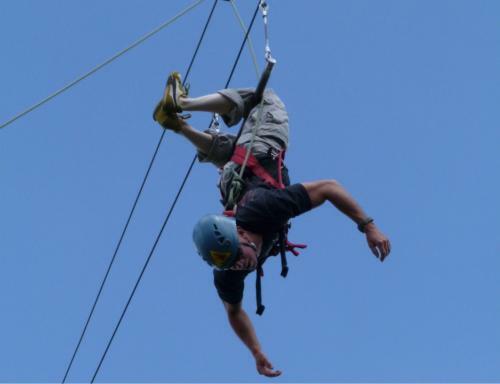 Upward Enterprises, Inc. has a rope challenge course ideal for experimental learning and team building exercises. Based in at the Claggett Center in Buckeystown, MD, the course is one of the largest on the East Coast and only a short drive from Maryland, Washington D.C. and Virginia. We are located in a beautiful country setting just outside of Frederick, MD and is ideal for your Maryland corporate team building event. The Claggett Center even has conference facilities and accommodations for large groups and small. Our team building program is second to none and incorporates problem solving activities, creates camaraderie, builds self-esteem and teamwork, and encourages group activities. Your group needs to run like a fine oiled machine and that can only happen if everyone on the team trusts everyone and has each other’s best interest in mind. 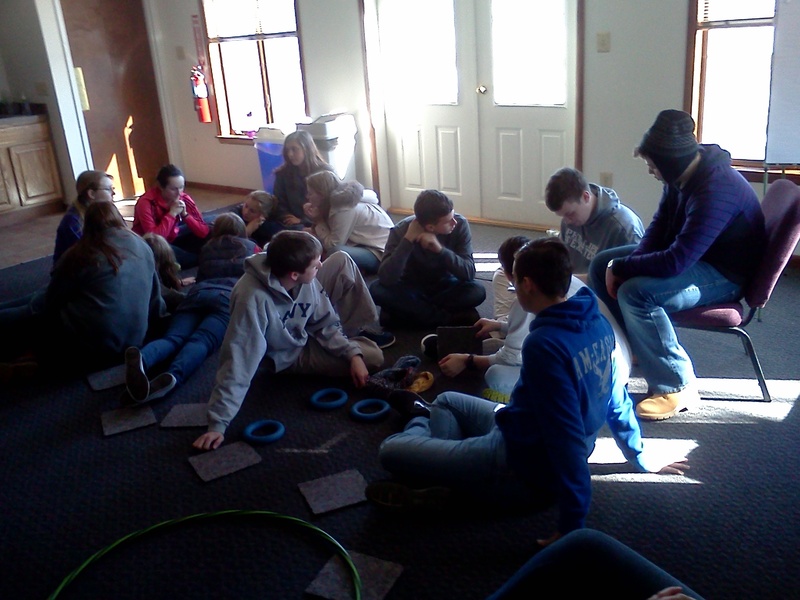 Groups learn through fun team building activities and fun group games. It’s ideal for large groups and businesses wishing to connect with employees and small groups and businesses looking to develop a strong bond. We have the tools and vehicles for experience-based training and team building development that empowers the individual, team, and work environment. We also specialize in leadership training for businesses that can bring your executives to the next level. When you come to Upward Enterprises for your team building needs, you get professionals with a excellent track record. We use proven methods of facilitation and training, and excel in creating a customized team building program aligned with your goals. We specialize in creating a challenging environment where hard work and teamwork pay off. Groups see positive results almost immediately and take those lessons back to the classroom, sports field, office or boardroom. Check out all of your team building programs. 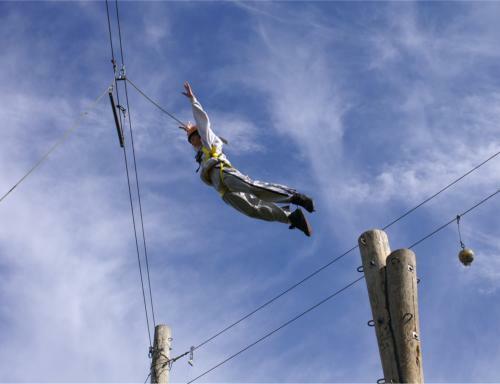 Our ropes course is famous and many groups want to experience it first hand, but are limited to having the event at their facility. Upward Enterprises has many portable team building activities and challenges that we can bring right to you. We set everything up and create an experience that teaches problems solving and communication and is designed to boost confidence and create bonds. Our portable climbing wall is not only great fun, but provides important lessons and skills. It all comes straight to you. Don’t let your organization suffer from low morale and disorganization. Upward Enterprises can take your group members / employees and shape them into a team that understands the importance of loyalty, trust and friendship. The high course at our Buckeystown location is filled with an array of activities ideally suited to team building. Getting people away from their day to day distractions and providing a level playing field is the first step in building a team. While working through the challenges of the high activities individuals get to realize strengths and perceived weaknesses of themselves and the team, and be able to work through situations. 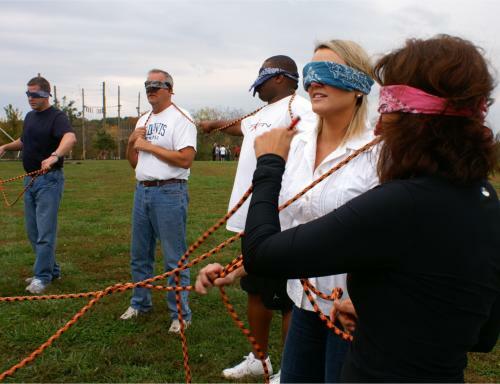 Our Team Building programs are designed to meet the needs and requirements of your team. We can create a program that specifically targets certain goals such as improving communication, problem solving, trust, leadership, conflict resolution and working together as a team. Through careful facilitation and processing the lessons learned during one of our Team Building programs can be related back to the work situation. Team building indoors in a conference room can take many different looks - from table top to on the floor. We have activities that will challenge most groups' intellect whilst working on communication, goal setting and group dynamics. These programs are great during the winter months when we can't get outside. Team Building can take place in any environment - conference room, hotel, gym, church, etc. 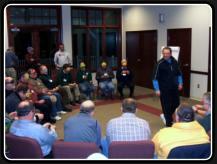 This is an example of our indoor sessions leading a corporate group through one of our team building games. This is one of our favorite activities. The hardest part is the last step up! From the top you can check out the amazing view and gather yourself before making the ‘leap’. When you are ready, reach for the trapeze bar that hangs just a few feet away! There's a challenge for everyone. You just need to find your boundaries and push beyond. This is only possible by an athlete with a supportive team that you trust underneath.